What is SCADA and where is it used. The differences between HMI & SCADA. Creating screens with the screen editor. Creating Dynamic content – Bar Graphs, Sliders, 3D effects, Indicators and Buttons. 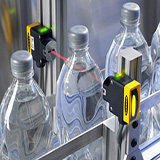 Alarm Handling and much more. Difference between PLC & DCS.